Spencer Perceval was born in Audley Square, London on 1 November 1762, the second son of the second marriage of the second Earl of Egmont (and so a man of comparatively slender means). He attended Harrow School and then Trinity College, Cambridge, where he associated with others who shared the Anglican evangelicalism which later marked him out among his political peers. Perceval was called to the bar in 1786. By the early 1790s his success and publications opposing the French Revolution and radicalism led to his appointment as junior counsel for the prosecution of the political radicals Thomas Paine and John Horne Tooke, and then in 1796 as King’s Counsel and a bencher at Lincoln’s Inn. 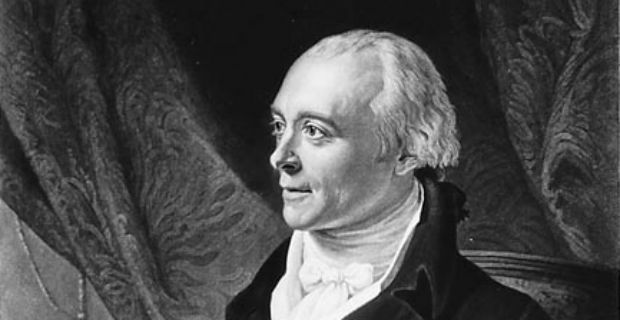 Perceval’s religious beliefs as an evangelical Anglican underpinned his interest in strict observance of Sunday as a day of devotion, explorations of the prospective date of Christ’s second coming, familial devotion (he married Jane Wilson in 1790, with whom he had twelve children), notable private philanthropy and support for the abolition of slavery. It also underpinned commitments to public order and stamping out ‘immorality’, and to the existing arrangements in church and state, both in support for a reformed Church of England and in opposition to and parliamentary reform. In 1796 he was elected MP for Northampton, and in a notable speech defending the Government early in 1798, established himself as a contender for a place in William Pitt's administration. In August he was appointed Solicitor to the Ordinance, and then in 1799 Solicitor-General to the Queen. From 1801 he served Prime Minister Henry Addington as Solicitor General and then Attorney General, and was then Pitt’s chief law officer in the Commons during a series of important political trials. For example, he prosecuted the revolutionary Colonel Edward Despard who was executed for high treason in 1803 after being accused of plotting both the seizure of the Tower of London and Bank of England and the assassination of George III. Having been a leader of the Pittite opposition to Grenville’s ministry, a somewhat reluctant Perceval gave up his lucrative legal practice to take office as Chancellor of the Exchequer and leader of the Commons in the Duke of Portland’s ministry in March 1807 (as well as effectually house-sitting in 10 Downing Street by the end of the year). He was thus one of several cabinet members well-placed to be considered to succeed Portland when a stroke ended his ministry in August 1809. On 30 September 1809 it was Perceval’s name that the Cabinet recommended to the King as Prime Minister, though he continued as unpaid Chancellor of the Exchequer after six other candidates declined the post; some other Pittites (including George Canning) were not prepared to serve under Perceval. Perceval’s ministry had shaky origins, coinciding with the military disaster of the Walcheren expedition to the Netherlands, in which over 4,000 British soldiers died, mostly from disease. Perceval overcame this to gather support, crucially including that of the Prince of Wales, despite the limitations on his authority Perceval had imposed during the Regency of 1810-11. Perceval successfully underwrote the costs of the war against Napoleon through a reasonably prudent mix of economies and loans, and maintained his firm stance against and radical politics; religious nonconformists too came to fear an establishment backlash at his hands. Any lasting effect on British politics, however, was prevented by a combination of Perceval’s political conservatism, shaped by the revolutionary alarms of the 1790s, his lack of political ambition, and his unhappy distinction as the only British Prime Minister to be assassinated while in office. He was shot dead through the heart in the parliamentary lobby on 11 May 1812 by the merchant John Bellingham, in protest at what Bellingham saw as the unjust refusal of the government to assist him when he was wrongly imprisoned in Russia, or subsequently to pay him any compensation. Bellingham was hanged for murder on 18 May; Perceval received the accolade of a monument in Westminster Abbey. Read the National Archive blog for some fascinating insights around the assassination of Spencer Perceval. Regency Bill 1810 – made the Prince of Wales regent during King George III’s renewed ill health. The only Prime Minister to be assassinated whilst holding office. Current conservative MP Henry Bellingham is a distant descendent of his assassin, John Bellingham. Served as his own, unpaid Chancellor of the Exchequer when six others refused the office. Excellent. Thank you for the historic perspective. Selfless service is still undervalued in society. Thank you.